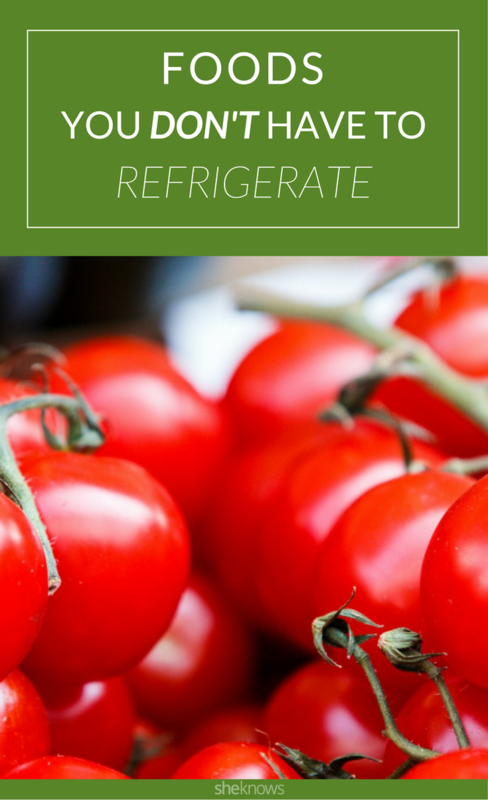 Quick raise of hands — how many of you never, ever keep tomatoes in the refrigerator? It’s because refrigeration kills the flavor and texture. We know this, don’t we — from experience. Well, today is a good day for validation, because a new scientific study is backing up what we already know. The thing is, as careful as we are about food safety, there are just some things that not only don’t need to be refrigerated, but actually taste better if they’re kept out of the cold. Here are the top 10 we say you can leave out. See if you agree. 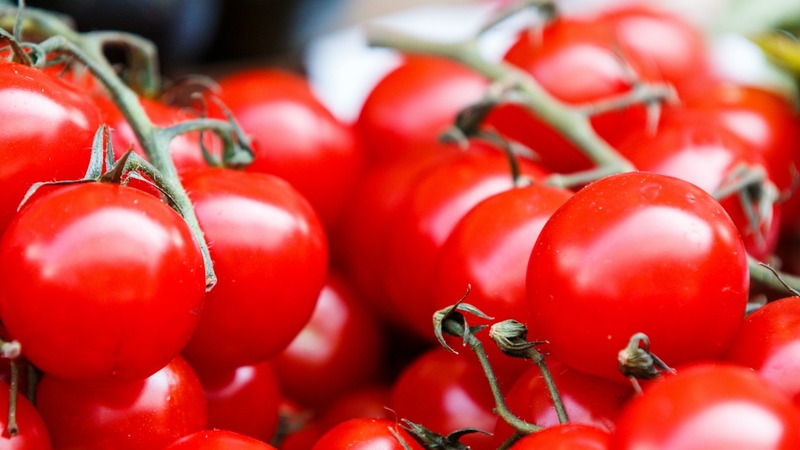 A recent scientific study led by horticulturalist Bo Zhang of the University of Florida actually proved that chilling the fruit at low temperatures keeps the tomato from developing that deep, rich, tangy tomatoey flavor we love. This is why tomatoes from far away don’t taste as good as locally grown tomatoes, and nothing tastes as good as your own homegrown tomatoes, which you already know. We’re just saying, there’s scientific proof backing us up now. It turns out eggs don’t necessarily need to be kept in the fridge. In other countries, people leave them on the counter, no problemo. The difference is that in the U.S., eggs are washed after being collected, which removes a natural antibacterial barrier from the egg and makes the eggshells more likely to carry traces of salmonella. But if you can get your eggs from a neighbor with chickens or a local farmer before they go through the washing process, then you can leave them out. Honey is kind of amazing. If you keep it in a sealed container in a dry place, it can last forever. Literally! And you shouldn’t refrigerate it. Studies have shown that the temperature of refrigerators actually encourages honey to crystallize, which leads to a texture many find unpalatable, though again, the honey is still safe to eat. As long as it isn’t contaminated with too much moisture, a jar of honey you have today could be eaten in 1,000 years with no ill consequence. If your family goes through a ton of ketchup, then you can probably keep it in the pantry instead of the fridge. The high acid and sugar content of ketchup means it can be safely consumed for up to a month when stored at room temperature . The starches in potatoes actually begin to convert into sugar when they are refrigerated, making them sweet. Leave your potatoes in a cool, dark place instead. I took me years to realize basil doesn’t go bad within a matter of days — I was just storing it wrong. Basil hates cold weather, so storing it in the fridge is a big no-no. Instead, keep it in a cup of water (like you would a bouquet of flowers), and cover loosely with a plastic bag to keep it moist. Your basil can last more than a week with this method. Just be sure to change the water every two days. A lot of people throw bread into the fridge, fearing it will get stale and moldy if left on the counter. But the refrigerator dries out and stales bread much faster than normal, basically ruining it. If you don’t think you’ll eat your bread before mold starts to settle in, then you should freeze it. Apples can last up to two weeks at room temperature. 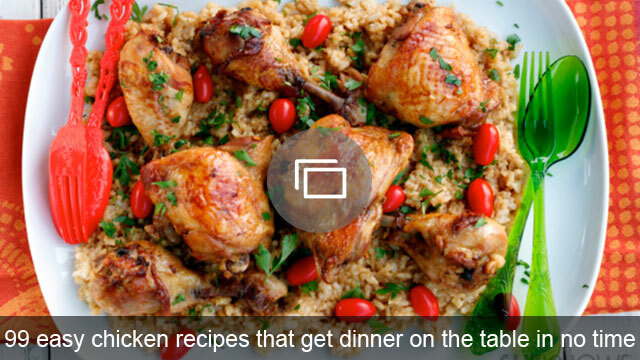 Try leaving them in a pretty bowl on the counter instead of taking up a ton of space in the fridge. Cucumbers are sensitive li’l veggies, and refrigeration can actually cause them to go bad more quickly than leaving them on the counter. Keeping them in the fridge for more than three days can lead to “cold injury,” like excessive wateriness, pitting and decay. Cukes should also be kept away from foods that produce a lot of ethylene, like melons, bananas and tomatoes. Hot sauce is basically made of spicy peppers, vinegar and salt. Because vinegar and salt are preservatives, hot sauce doesn’t need to be refrigerated. Just keep it tightly sealed and in a dry place. If any water gets into it, then that could increase the chance of spoilage. Originally published April 2014; Updated October 2016.